What is the Purpose of the Board of Public Works? Last night, I watched the video of the Board of Public Works meeting which considered the ACS parking deal. This a huge, questionable project, involving locking the City into a 50 year contract with a company that has already failed spectacularly at one privatization effort with the State. Further, ACS's performance in Washington, D.C.'s seven years plus parking deal was roundly criticized as reported on this blog. It is a deal which could net the contractor $1.2 billion. Yet, the members of the Board, lead by David Sherman, Director of the Department of Public Works, could muster only one extremely lame, softball question from Board member Dorothy Henry. I was surprised to see Henry had been appointed to the Board. Then again, Henry was a rubberstamp when she was on the CIB so I guess the Mayor figured that made her an excelent board member. This administration loves the rubberstamp. The Board unanimously approved the ACS contract...not a big surprise. What exactly is the purpose of the Board of Public Works? In addition, the Indianapolis Convention & Visitors Association is slated to receive $8 million from the CIB next year. Unlike previous years, that the money will not come from CIB revenue but from downtown-development funds. The CIB typically funds about 70 percent of the ICVA’s budget. It was the last paragraph -- the one mentioning how the CIB was going to use at least $8 million in tax revenue to fund the ICVA -- that really caught our attention. Not sure what else to say. It's a sad day when we have a Republican Mayor who is so far off the mark that he makes a partisan hack like Terry Burns (no offense Terry) right on the mark. The Mayor's administration is just playing a shell game. Instead of the CIB funding ICVA, ICVA taps into property taxes for $8 million so the CIB can give the Pacers $10 million, money the most of which would have gone to the CIB were it not for the Mayor's giveaway. How stupid does the Mayor and his staff think we are? Parking Contract Could Net Politically Connected ACS More Than $1 Billion; Did City Put Taxpayers on the Hook for $2 Million? A private company pays to install hundreds of electronic parking meters. Customers pay a higher rate for the first time in 35 years but now can pay with credit cards. The city collects $400 million over 50 years to repair crumbling streets and sidewalks. The pitch from Mayor Greg Ballard’s administration is compelling. But a proposed deal to sell the city’s parking meters to Dallas-based Affiliated Computer Services Inc. has the city giving up more in the long run than is immediately apparent in the talking points. The private contractor likely will collect at least $724 million in revenue over the life of the proposed deal, based on an IBJ calculation using city revenue projections that are more conservative than those used by ACS. Under the more optimistic scenario, the company could collect as much as $1.2 billion. Less clear is how much of the revenue would be pure profit for ACS, the Xerox-subsidiary company the mayor picked this month from among several bidders seeking to help the city unlock hidden value in its parking assets. The deal, which still requires City-County Council approval, calls for the city to cede control of about 3,650 metered parking spaces in exchange for a $35 million upfront payment for new streets and sidewalks, upgrades to the city’s meter system valued at $41 million, and a minority share of future meter revenue. ACS declined to disclose its revenue or expense projections—including how much it plans to invest in new electronic meters or how much it will pay to manage the collection of parking fees and fines from violators. " 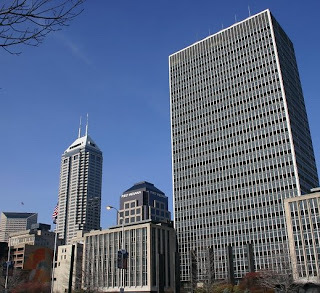 The article also quotes Fred Laughlin, a vice president with the not-for-profit Indianapolis Downtown Inc. As to be expected IDI, which receives millions in subsidies from the City, acts as a shill for the administration. Laughlin defends the contract and makes the incredible comment that the competitive bidding process ensures the city got a fair deal. What "competitive bidding process?" The City considered proposals and picked what was felt was the "best" proposal. There was no "bidding process." It was a no bid contract. Also in the article, Schouten reports that Morgan Stanley's fees on the deal are estimated at $1.5 million. According to Michael Huber, Deputy Mayor for Economic Development, even if the Council doesn't approve the plan, the City is on the hook for "deal interactive fees" for Morgan Stanley as well as up to $50,000 in expenses. I'm not sure what "deal interactive fees" (a google search produced zero hits) but I wouldn't be surprised that is a clever way to avoid referring to Morgan Stanley's $1.5 million bill. That $1.5 million comes on the heels of a $451,568 bill submitted by Ice Miller, which according to the City we taxpayers will be on the hook for 75% of. Did our city leaders just put Indianapolis taxpayers on the hook for nearly $2 million on a deal that may never pass the Council? From the beginning, the administration of Mayor Greg Ballard has been dominated by "profiteers" people, chiefly Republicans, who have used Ballard's upset win as an opportunity to line their pockets with cash. To me those "profiteers" are the worst kind of Republicans. Mayor Ballard's election could have been used as a springboard to rebuild the Marion County GOP. Instead we have people like Bob Grand, Joe Loftus, David Brooks, Paul Okeson and a host of others who for 2 1/2 years led the politically-naive Mayor around by the collar continually steering him in the direction of doing things that are incredibly poltically stupid and which will result not only in his own resounding re-election defeat but also the loss of the Republican majority on the Council. 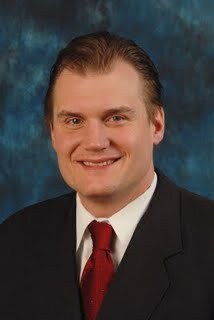 Today's profiteer I will focus on is Marion County GOP - Republican County Chairman Tom John. Whether or not the administration's parking plan is a good idea or not is open to debate. I think any privatization contract of 50 years is nothing short of insane. Nonetheless, let's take whether it makes sense to do the contract out of the equation, and just talk about the politics of the plan and the likely effect it will have on the Mayor's re-election effort. There is no scenario by which the parking plan can be spun into a political positive by the Mayor's people. The Mayor will get hammered for doubling parking rates and contracting with ACS which failed miserably at the FSSA privatization. These are slam dunk soundbites, easily explanable issues people can grasp and relate to. When he gets hit by the negative ads about the parking deal how is the Mayor going to respond? Does he really think he can sell the message that people needed their parking rates doubled because the rates hadn't been raised in so long? Even if you could get that lengthy explanation in a modern soundbite, it is an explanation that will never fly with a huge segment of the public. People aren't sitting at home thinking "I wish the City would charge more for me to park downtown." You're going to two types of responses to the parking plan: 1) those who aren't bothered by the increase. They won't vote on the issue because they don't care; 2) those who are bothered by the increase. Many of those people will vote on the issue. In other words, it's not a "voting issue" for the pro-increase; it is a "voting issue" for those who oppose it. Plus every time a person has to feed the meter more money after the increase, he or she will be reminded of the man who cost them more money to park- Mayor Greg Ballard. It's a terrific issue for the Democrats. The one Republican in the county, more than any other, who should be steering the Mayor away from this foolish election year eve plan is Marion County GOP Chairman Tom John. So what is John doing? He's profiteering. Tom John and other attorneys at his law firm Ice Miller have billed the City $451,568.14 for working on the parking plan. At $350 an hour, that is an incredible 1290 hours of time. One has to wonder if anyone at the City is auditing the time sheets of the Ice Miller attorneys. Unbelievably the City has already agreed to pay 75% of the Ice Miller bill even if the Council doesn't approve the Contract. Tom John owes a duty to the Republican Party of Marion County to pursue a political course that is likely to result in a favorable result come Election Day. That duty conflicts with John's desire to make more money for himself and his law firm by pushing the Mayor to contract with ACS. It is apparent that when it came to that conflict, John's desire to profiteer won out over doing what is best for the Marion County GOP. A report released February 22 by the Washington, DC city auditor documented the mismanagement of a for-hire contract to issue parking tickets in the nation's capital. The District's choice of Affiliated Computer Services (ACS) to run meter maid operations delivered $8,823,447 less revenue and a twenty-fold increase in complaints from the public. with Lockheed Martin IMS Corporation, now Affiliated Computer Services (ACS) to provide new parking meters and to manage the District's parking meter services." Among the findings were that ACS was overcounting the number of meters, and charging accordingly. ACS claimed 1906 were in use, but the audit showed 1236 -- "the remaining 670 meters, or 35 percent, were missing and could not be accounted for by ACS or DDOT," the report explained. Of the meters that were present, 65 percent were defaced, damaged or inoperable. Only 232 meters were in proper working condition. ACS also pocketed $644,952 in fees for parking meters that had been "bagged" while streets were under construction or turned off for private functions, in violation of the city's contract. The audit also blamed ACS for improperly issuing 6888 tickets to motorists parked at busted parking meters to generate $159,975 in revenue. The frequency of such mistakes was reflected in the increase in the number of complaints. When the city ran the meter maid program, annual complaints averaged less than 4000. In 2005, 89,840 complaints were lodged against parking services. "pay and display" style electronic parking meters to overcharge motorists. Parking Meters Examined by the Auditor Had Significant Problems. Indianapolis would deal with the problems exposed in the Washington, D.C. audit, by simply never doing an an audit of the politically-connected ACS. No audit - no publicity of the problems. That is the Indy way. Even if there was an audit done, you can bet it would be so greased by the politicians that ACS come out smelling like a rose. As a side note, I would specifically note that the DC audit blasted ACS for submitting "flawed meter inventory data." In the Indianapolis contract, it says that the City will simply use whatever data and calculations ACS supplies the City for determining the revenue to which the City is entitled under the contract. Why in the world would City negotiators agree to that? Finally, it should be emphasized that these were problems noted in ACS's performance on a 7 year plus contract, a contract short enough where ACS actually had to fear competition. Imagine what ACS's performance will be like under a multi-generational, 50 year contract which will shield the company from competition for decades? This evening, I spent a few hours flipping through the 170 or so pages of the parking contract and exhibits. While below I refer repeatedly to "ACS," I would point out that the copy of the contract I have doesn't identify ACS . Rather the vendor is simply referred to as "Concessionaire" and the name of the company that is the "Concessionaire" is left blank. If this was done to leave the impression that the selection of the vendor was not a done deal, the drafters screwed up when they accidentally referred to "Xerox," ACS corporate parent in the document. However, rather than write the lengthy "Concessionaire" every time, I will instead simply identify the "Concessionaire" as ACS to make things simpler. ACS has exclusive naming rights to the metered parking system. (Not sure how that would work.) ACS is allowed to sell advertisement on meters (or on the back of tickets issued by meters. These are both subject to City approval. (p. 40). Get ready for tacky advertising on meters. I don't think any of the advertising revenue will go to the City. This could be a huge source of revenue for ACS. It appears that ACS might be entitled to a temporary closure fee (so much per meter) if the City wants to disallow parking on certain streets during rush hour. (p. 49). (It could also be compensable under the "decreases in hours of operation." - p. 51.) For example, the meters directly in front of my law office on Delaware Street are 9 am to 3 pm...the shortened hours allowing for rush hour. Under the new plan, the meter parking hours will be 7 am to 9 pm. It appears that if the City wants rush hour restrictions on downtown streets, the City, i.e. taxpayers, will have have to pay for them. The City is permitted to look at "audited publicly available financial statements and reports of Xerox Corp. only." (p. 52.) What is interesting is that my copy of the contract never once identifies the company that is the "Concessionaire" The contract appears to be pre-vendor selection, as if it was drafted by the City's attorneys in preparation to fill in the name of the winning vendor. However, the contract specifically mentions Xerox, the parent company of ACS. That makes me wonder if ACS's attorneys and not the City's, drafted the contract and then scrubbed out ACS references overlooking the reference to Xerox. ACS "will provide to the City any calculations, volumes or analysis of revenue necessary to calculate and verify its share of revenue" under the Agreement. (p. 52.) This is the m.o. of the people who negotiate for our City. They will depend on ACS to supply the numbers to do the revenue calculation...not even reserving the right to audit the source of those numbers. It's the Pacers all over again. If parking revenue reaches a certain threshold, the amount the City gets increase. (Schedule 2.1). Of course, as previously noted, under the Agreement the City simply has to take the word of ACS regarding revenue generated. I haven't heard the news reports yet, but according to the below press release from Councilor Jose Evans, Mayor Greg Ballard announced today that he was ending the car take home policy for IMPD. I can understand reforming the policy...for example, they should not be able to take the cars out of the county and prohibiting officers from operating the car after having consumed alcoholic beverages...but to end it? That seems pretty extreme. I would think there is a substantial deterrent effect to people seeing those law enforcement vehicles in Indianapolis neighborhoods. The recent shooting on the west side of Indianapolis where two residents, were killed and six others injured, demonstrate the vital importance of a police presence in our communities. That’s why I am very concerned to learn that Mayor Greg Ballard today announced a new policy that will prohibit officers of the Indianapolis Metropolitan Police Department from taking their vehicles home. While I can appreciate the need to cut back on expenditures, the safety of our communities is not an area where a mayor should cut corners. The presence of police cars in neighborhoods where real people live, acts as a deterrent on the commission of crime. As crime in Indianapolis continues to soar, it is essential that we preserve this weapon against crime in our communities. Last month, the Mayor announced he supported giving the Pacers $33.5 million dollars over three years. Now this month, the Mayor has taken the position that the safety of our communities as well as the loyal men and women who serve the public as law enforcement officers, do not deserve the same support. Being mayor is about setting priorities. Mayor Ballard’s priorities appear to be about giving sweetheart deals and tax breaks to downtown businesses. As a candidate for Mayor, I would make keeping our communities safe and supporting our police officers a priority. At the next Council meeting, I intend to introduce a resolution asking the Mayor to reconsider his decision to end take home cars for IMPD officers. I would respectfully ask my colleagues on the Council, both Democrats and Republicans, to support my resolution. Indianapolis Mayor Greg Ballard - a Formidable Candidate for Re-Election? I'm Going to Go With "No"
Matthew Tully pens a column this morning (not yet on-line) in which he dissects a pre-campaign campaign letter from Indianapolis Mayor Greg Ballard in which the Mayor touts his "accomplishments" in office. Tully examines the various campaign issues raised by Ballard and concludes he will be a tough candidate to beat. Uh, no he won't be. It is true that Ballard will be a very well-funded candidate, probably the best funded mayoral candidate in history. 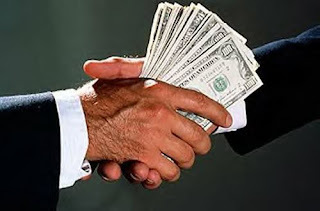 After all, Ballard's team has become an expert in shaking down government contractors for campaign contributions. But money in politics can be overrated. If a candidate has inflicted permanent injury on himself or has issues that can be easily exploited, no amount of money can rehabilitate that candidate. As long as the Democratic nominee has the money to remind the public about Ballard's failings, the Democrat wins. Mayor Ballard has put the ball on the tee time after time again for his political opponent, perfectly positioning himself and the Marion County GOP for a crushing defeat in the 2011 election. To me it's unfathomable that this man has received any political advice at all, much less the $10,000 per month advice he's supposedly paying for. Tully is in love with the fact that Mayor Ballard wants to address infrastructure in this city. Unfortunately he's blinded to the problems with HOW Mayor Ballard is generating the cash to meet those infrastructure needs. Using a fake sale of the utilities from one public entity to another to generate cash will simply result in short term improvements being paid for with a 30 year loan taken out by the public utility which is owned by the public. As far as the parking lease deal, I'll wait for the column in which Tully criticizes the Mayor for entering a 50 year contract to generate upfront cash for short term infrastructure improvements. At the very least, Tully should be criticizing that ACS, which has already failed at the FSSA privatization, is a client of Barnes & Thornburg attorney Joe Loftus, who is on the city's payroll to advise the Mayor. Nonetheless, the Tully column was about the politics of a Ballard re-election run. Mayor Ballard has time and time again supported tax and fee increases, the latest being a doubling of parking fees.. You don't think the Democrats are going to point that out in a campaign? Of course, they will. To do so is to drive a wedge between Ballard and the anti-tax conservatives who supported him when he ran in 2007. Despite what Tully hopes, making infrastructure improvements has never been a voting issue. The failure to make infrastructure improvements can occasionally be a voting issue...but that's not what is on the table. Then you have the issue of public safety, the one area where the Mayor could have claimed a victory, albeit at best a marginal one. That issue has fallen apart. I'm sure the Democrats will also challenge the Mayor's highly unpopular priorities. The $33.5 million gift to the Pacers will be juxtaposed against cuts to the libraries, park and public transit. That will be a devastating campaign issue. What about the "lack of leadership" (in fairness I think it's more "poor" leadership than a lack thereof) issue that Democrats have already started to hit? The Mayor's junkets and over enjoyment of the perks of office, like country club memberships, will also be an issue. The only way Mayor Ballard will be a formidable candidate in the Fall of 2011 is if the Democrat has absolutely no money to be able to remind the voters of what four years of Ballard's leadership has been like - broken promises, constant support of tax/fee increases, corporate welfare to billionaire sports owners, endless junkets at taxpayer expenses, and a lack of a leadership. Mayor Ballard is so obviously vulnerable, however, that any Democrat who is nominated in May of 2011 will certainly be well funded for the General Election. Mayor Ballard has no chance of winning re-election in 2011. The minute he's renominated, the election is over. Did Joe Loftus, Counsel to the Mayor, Use His Position Within Administration to Secure 50 Year, No Bid Contract For His Client? In the recent parking deal with ACS, did Joe Loftus, special counsel for the Mayor and partner at Barnes & Thornburg, use his position within the Ballard administration to steer a contract to a private client he represents? Although Loftus told a reporter during the transition he would not take a position with the city, the Indianapolis Star later reported that Loftus made a combined $115,000 as lobbyist for the city and to act as the administration’s special counsel. In addition, Loftus also lobbies for ACS, the very company that recently was awarded a 50 year no-bid contract by the City. This wouldn't be the first time Loftus leveraged his position within the Ballard administration to help a private client. Just last fall, Loftus, on behalf of his client AT&T, worked behind the scenes to cut the funding for Rick Maultra's salary as head of the City's telecom agency. Maultra had been a persistent advocate that telecoms, like AT&T, pay rights of way fees like they do in other cities. Maultra, as local enforcer of telecom laws, had also targeted AT&T for legal violations. Loftus' conflict of interest within the administration - being paid by taxpayers to work for the City's interests while at the same time lobbying the City for private clients - is one of the worst conflicts of interest imaginable. I guess Mayor Ballard wasn't serious about running a more ethical administration than past mayors. What City Asset Will Ballard Administration Sell Off Next? After putting the City's water and sewer utilities and now parking meters/garages up for auction (actually auction implies there was bidding...ACS will get a no bid contract), what city asset is next? 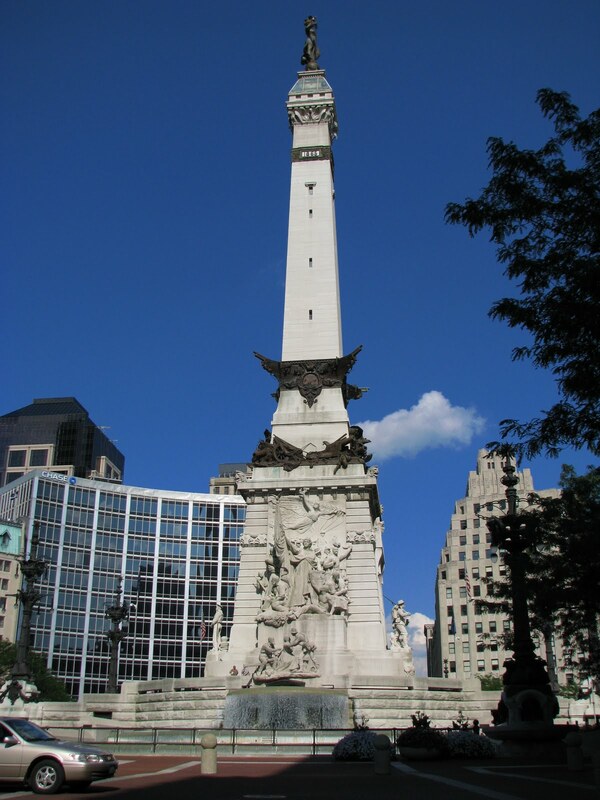 Here are some options: a) Monument Circle; b) Eagle Creek Park; and c) City-County Building. Please vote for your favorite or suggest another alternative. Republicans criticize Democrats for always wanting to raise taxes and or fees, for some project or another. Republican, i.e. conservative philosophy is that money is best in the hands of private individuals and not the government. Therefore, Republicans believe that tax/fee increases should be a last resort. Today in announcing a doubling of parking rates within two years and a 50 year privatization contract., Mayor Ballard showed once again he is no conservative and a Republican In Name Only (RINO). The announcement today is the norm for this administration which, time and time again, has looked for taxes and fees that have not been increased for awhile and concluded that the situation has to be "corrected" with increases, substantial ones at that. Whether it is doubling parking fees or increasing several times over fees on businesses, Mayor Ballard has repeatedly stuck his finger in the eyes of conservatives who believe in less taxes and smaller government. Is this really the record, a record completely opposite of all things conservative, that the Republican members of the council want to run on? Republican councilors need to think about getting off the Ballard ship that it is inevitably headed toward the bottom of the political ocean in 2011. The mayor's office has agreed to lease its parking operations to Maryland-based ACS for 50 years. The city gets $35 million up front and a share of the revenue that will increase over time from 20 percent to 50 percent. "The reason they get a larger share is they're giving us a lot of money up front and financing $7-$10 million in upgrades," said Deputy Mayor Michael Huber. ACS will spend up to $10 million to replace the city's current coin meters with electronic ones similar to those in Chicago, which take credit cards. ACS' David Cummins is quick to say that's where the similarities end. Under the plan, most rates in Indianapolis will go up, but gradually - from the current 75 cents an hour to $1.50 in 2012 with increases after that tied to inflation. "We thought that was responsible since rates haven't changed in 35 years," Huber said. Another thing changing is the hours of operation. Downtown, you'll have to plug the meter until 8:00 pm, and until 11:00 pm in Broad Ripple. You'll also have to pay on Saturdays. Huber said merchants, especially in Broad Ripple, want more turnover. "We have free parking at some of the busiest times of the day," he said. As for enforcement, ACS will continue using Dennison Global, insisting that unlike Chicago, you won't see a big crackdown. "The city isn't giving up the keys to parking to a private operator so we can go out there and run around and write a bunch of tickets," he said. "That's not allowed in our agreement." Huber said the city will put the $35 million in a capital improvement fund to pay for infrastructure needs, such as street and sidewalk repairs. Under the deal, he estimated the city would ultimately generate about $1.5 million a year, compared to the $750,000 it takes in now. He said that money would also go into the capital improvement fund. The Indianapolis Business Journal and Advance Indiana also has excellent reports on the subject. I chose to use the Channel 13 report because it picked up on a point that IBJ didn't - parking rates will double in 2012 (conveniently after the 2011 municipal election) and then will increase along with inflation thereafter. How high are these rates going to climb? Does it make sense to tie parking rates to inflation rates? Second, it cannot be emphasized enough that the City is entering into a 50 year contract. That is not privatization. Privatization is about government leveraging the marketplace to create competition in the delivery of services. Handing a company a 50 year contract is providing a government monopoly over the provision of public services. There will be no market competition holding down rates. There will be no backing out of the contract if city officials are not happy with ACS. Third, the purpose of the long-term contract is to mortgage the future to receive up front cash. The Ballard administration is entering into a 50 year deal to receive $35 million dollars that they will use for street and sidewalk repairs. Those repairs financed by the 50 year deal are going to last maybe 10 years. The deal is simply designed simply to generate pre-election cash for a Mayor struggling with his own well-deserved unpopularity. Huber also suggests that the deal doesn't allow parking tickets to be written on people who don't feed the meter. That is so disingenuous. He undoubtedly knows that another private company handles enforcement at the parking meters, not the city. Thus that issue would not be dealt with by the City-ACS contract. Speaking of ACS, here we have a company that along with IBM horribly bungled the FSSA privatization, to the tune of billions of dollars. Why in the world would the Ballard administration enter into a contract with ACS to do parking privatization when the company's failures are the subject of a multi-million dollar lawsuit involving the state? Wait...I know the answer. ACS has made contributions to the right politicians and hired Barnes & Thornburg, the law firm that's run the city since Ballard was inaugurated on January 2008. Joe Loftus, partner at B&T lobbies the City on behalf of ACS. Loftus is also on the City's payroll. It's more of the same old pay-to-play BS from the Ballard administration. When will this embarrassment to my Republican Party known as the Ballard administration come to an end? November 9, 2011, after election, I would call on Republican leaders to gather and purge the Marion County GOP of those who, rather than help the party regain a majority in the county following the suprise election victory in 2007, instead used a very naive Mayor Ballard to line their own pockets. The selfish act of those people set back the future of the Marion County GOP by at least a generation. You heard it here first. Okay, maybe not first. My prediction is that felony charges filed against IMPD Officer David Bisard for driving drunk and hitting and killing a motorcyclist. At best the prosecutor's office will get a misdemeanor conviction. The Indianapolis Star reports today that Judge Grant Hawkins expressed doubt whether probable cause was sufficient to take the blood test which found his alcohol level at .19. Judge Hawkins ruled that because of doubts about the legality of the blood draw, Bisard could keep his license. Meanwhile the Star reports that Prosecutor Carl Brizzi sharply criticized IMPD's handling of the case, in particular the failure of other officers to notice Bisard was intoxicated at the scene. Without probable cause to do the blood draw, the blood test will end up being suppressed. While I never dealt with that issue when I clerked at the Court of Appeals, I did run across cases where several hours passed between the time of an accident and the motorist being tested for alcohol. The delay is often fatal in a prosecution for driving under the influence. The delay makes it tough to prove the motorist didn't drink after the accident or the motorists' BAC level didn't go impermissibly high until after the collision. Remember, the defendant doesn't have to prove anything...it's the prosecution's responsibility to show beyond a reasonable doubt the defendant was drunk at the time of the accident. Yep, my bet is that Bisard walks away with, at best, a misdemeanor conviction and no time served. This summer I decided to redo my utilities. I have gotten rid of my home phone line and switched my home phone number (which has a nice pattern to it) to my cell phone. I would still like to upgrade to a better cell phone, but that's for another day. Yesterday, after considerable research, I decided to go with a middle-level package with DirectTV. I had had Direct TV one year several years ago and didn't like the customer service. I had wanted to go with DishTV, but many of the stations I watch regularly (like National Geographic) were only available on their most expensive package. My choices turned out to be much more limited than I thought. Obviously I wasn't going to return to Comcast for TV sservice after the way the company treated this 20 year customer and stockholder. AT&T's U-verse which everyone raves about isn't available in my neighborhood. That left DishTV and DirectTV. I can't wait until there are more options available. I'm not a big fan of satellite TV. I am still researching internet options. One option would be to go back to Comcast at $42.00 a month. The advantage there is the service is fast and I already have the equipment. The negative is that I don't want to give those jerks any more of my money. I also looked into such things as NetZero, but I'm not ready to return to dial-up. I'm going to look into buying a DSL modem from someplace like Fry's and going with AT&T even if it's slower than advertised. My only other option is to go back to Comcast. Any advice about home internet service would be appreciated. The Indianapolis Star has an article this morning on the decision seven Indiana colleges made to remove their dorm phones. It seems the new cellular generation doesn't use them. One of the colleges removing their dorm phones is Hanover College, where I spent my first year of college from 1979-1980. Ah the memories. At Hanover, we had one phone booth at the end of the hall, two per floor. All the students on the entire wing of a floor had to share a phone. Can you imagine that today? When I went to Ball State, the dorm rooms had a small cabinet-like door on the wall. Inside was a phone on a pivot. You would use it along with your neighboring dorm room. This was a big improvement as only four people would use the phone versus 20 or more at Hanover. Growing up, I lived in the country in southeastern Indiana. 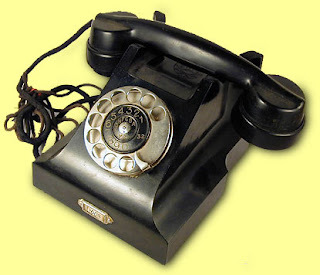 For a long time, we had a "party line." That's not the type of "party line" of later years, where a bunch of people get on the same phone line and talk at the same time. Rather several of my neighbors were on the same phone line. I believe 8 families shared the line. It was common to pick up the phone and hear neighbors talking. With the party line, two families' phone rang into our house. One ring was our neighbor across the road, the Caudills. Two short rings was the Ogdens. With a party line, you didn't engage in highly private conversations as you had to assume your conversation could well be heard by others. One good thing though is it taught you to be respectful of others and not to monopolize the phone. We kept our conversations short...and clean. Today, my only phone is the cellular one I carry with me. My has life changed. I have often said I wished radio host/blogger Abdul showed some independence from the current administration. (A public official recently told me Abdul resided in a part of the Mayor's anatomy which I am pretty sure would result in his voice being too muffled to do his radio show.) When Abdul does exercise independent thought, he can hit the ball out of the park. In that regard, witness his open letter to the ever arrogant Dr. Eugene White, Superintendent of Indianapolis Public Schools. The recent issue dealt with by the IPS board is the budget. Dr. White does not feel obligated to report to school board members the details of IPS's half a billion dollar budget. Instead of the approximate 800 page budget, he has provided school board members a four page summary. Incredibly some school board members found that sufficient...and explicitly told Dr. White they didn't want to know the details on the budget. Dr. White has not made the detailed budget public. During a recent IPS meeting, Dr. White complained bitterly that school board members had turned over public documents to Abdul and...gasp...Abdul made the public documents public. How outrageous! White thinks it is none of Abdul's or the public's business how much IPS employees, public employees, earn from our tax dollars. Abdul mentions in his recent blog post that White often fails to remember that charter schools are public schools. Trust me, it is no lapse in memory. The Superintendent simply doesn't care if he misrepresents charter schools. Charter schools are attracting students because IPS is failing. Instead of improving IPS, Dr. White wants to eliminate the competition charter schools provide. 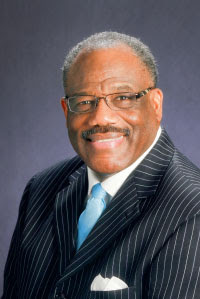 Has there ever been a more arrogant public official than Dr. Eugene White of IPS? I can't think of one. I started my legal career in the office of Attorney General Linley Pearson. Pearson was not one of the flashiest public officials ever, but I respected him for how he ran the Attorney General's Office. One thing that stood out in my mind was that Pearson always told us DAGs that we did not have to represent public officials if we knew they were violating the law. For example, there were cases where elected or appointed officials were suspected of ghost employment or violating other laws, and the AG refused to provide representation. Further, AG Pearson made it clear to the deputies that part of our job was to ensure that public officials complied with the law. 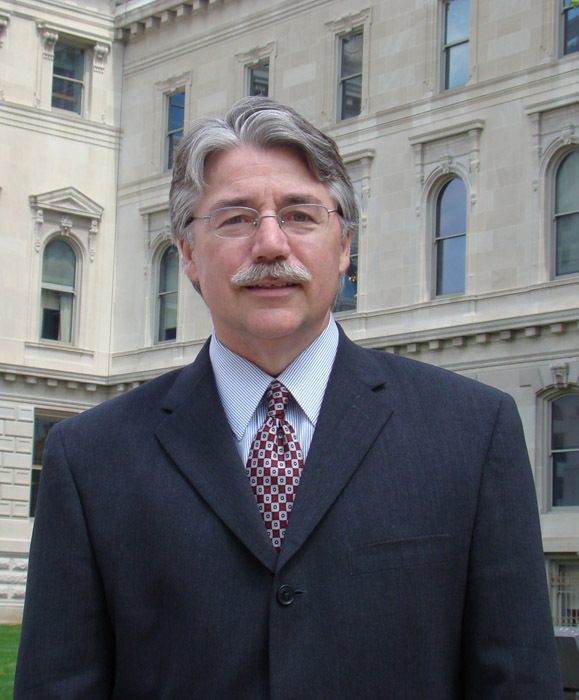 That's not the approach Attorney General Steve Carter and now AG Greg Zoeller take. Their approach is that the elected or appointed officials accused of misconduct or violating the law are entitled to representation from the AG's office and the AG's office is not going to ask any questions whether the officials are violating the law. A few years ago, I had a client who accused the Lake County Prosecutor of ghost employment and had her employment terminated. The AG's office never bothered to look into whether the allegations were true. Instead, the AG's office viciously targeted my whistleblowing client engaging, and at least one deputy engaged in some very unethical and illegal conduct along the way, which I have briefly detailed on this blog and I'll write about more later . That Deputy's conduct was not only never warranted an investigation by then Attorney General Steve Carter, she was promoted and today ranks as one of the top officials at the AG's office. That brings me to Sunday's Indianapolis Star story on civil forfeiture, a story which does not appear on-line. The article details how prosecutors throughout the state are not complying with the civil forfeiture law and, in the process, diverting millions of dollars that should be going to the common school fund. Joel Schumm, a professor at the Indiana University School of Law-Indianapolis, pointed out that the Attorney General's Office should be ensuring that the law is being complied with and the common school fund is being properly funded. "The 92 county prosecutors are the attorney general's clients, and we provide them legal advice upon request. We do not serve as the accountant for other units of government." Excuse me? Where in the law does it say that the AG has to be invited to offer legal advice to public officials? Further, is the Department of Education not a client of the Attorney General? Is the Treasurer's Office, which is responsible for the Common School Fund, also not a client of the AG? And what about the Indiana General Assembly? Does our legislature not have a right to trust that the AG is going to insist that public officials follow the laws it passes? Contrary to the claim of the spokesperson, the Indiana Attorney General does not have a responsibility to aid county prosecutors in the violation of the civil forfeiture law, a violation that is reslulting in the diversion of millions of dollars in forfeiture funds away from Hoosier children and to their own coffers. I love this show. As an attorney, I can relate to some of the comments. Today, while downtown, I went to the City Market to get my hair cut. I happen to mention to the lady cutting my hair that I often ride my bike to work. She warned me to be careful - she said she had four people in her shop last week that were hit while riding bicycles in the New York Street bike lane. Fortunately no fatalities. The bikers told her that the drivers crossed the bike lane where it weaves in and out or at a turn. She said one was an inattentive driver who was talking on her phone when she cut into the bike lane and struck the bicyclist. I have often warned that bike lanes often make commuting by bike more, not less, dangerous. The lanes also give bicyclists with a false sense of security...people think that line is going to protect them from cars. It won't. The situation is dripping with irony. "The use of qualified personnel to educate students in the methods of operating a business and related activities (applied economics and business basic programs) and to educate students in personal financial literacy." After three years of financial losses, plus turmoil among its leaders, Junior Achievement of Central Indiana unveiled a recovery plan at its annual meeting Thursday that includes a fundraiser led by Myra Borshoff Cook, head of the state's largest public relations firm. "Individually and collectively, we can polish up this brand and make it stronger than ever," Cook said during a pep talk for the board of directors. Cook, principal of Indianapolis-based Borshoff, is leading a fundraising committee of business leaders whom Junior Achievement has recognized with its Hall of Fame awards. 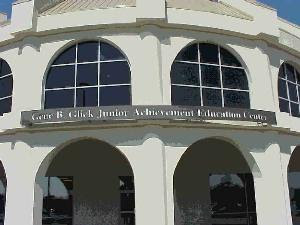 CEO Jennifer Burk said the extra fundraising, plus a host of other efforts, will put the organization in the black for the 2011 fiscal year, which ends June 30. "We just are digging out of a hole and we've made progress in doing that, but it's been a rough spell," she said. JA is counting on personal donations from each member of its board of directors to land a major challenge grant from an anonymous donor. Burk declined to disclose the amount of that grant. She said 70 percent of the board already has made commitments. The 2010 fiscal year that ended June 30 was the third consecutive year in the red for JA. It reported a deficit of $389,000. That was smaller than the prior year's gap of $540,000. Burk said the 2009 deficit was mitigated by multi-year sponsorships, for which revenue was counted in one year. Whenever these non-profits start having problems financially, the answer is always to solicit more money or obtain more government grants. Apparently no one dares consider cutting non-profit salaries and benefits, which are often quite extravagant. Junior Achievement of Central Indiana, Inc. falls into that category. According to the organization's 2008 tax return, then President and CEO Jeff Miller received $230,363 in salary and benefits. 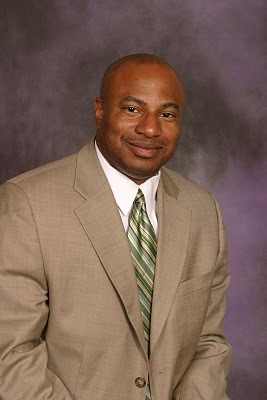 Victor George, Executive Vice President, was paid $149,091 while Sharon Lents, Chief Operating Officer took home $87,522. Lou Schmitt, who apparently no longer works for Junior Achievement, was shown as being paid $107,440. In 2008, JA paid out $1,130,779 in salaries and benefits. Rather than beg for more money, has the leadership of JA ever considered cutting the expenditure side to make the organization's books balance? That's what people in the real world have to do. It's a little frightening that the folks of JA are teaching people about running a business and personal financial literacy when they seem so uninterested in making the cuts necessary to make the organization's books balance. Thoughts About A Later School Start; Dare I Suggest a Shorter Calendar? This week was filled with K-12 schools starting up around the metro area. This week was also featured 90 degree plus heat, the longest heat wave we've had in a decade. Sen. Mike Delph has proposed a bill last session that would require schools to start after Labor Day. As someone who has always loved summer and remember schools always starting after Labor Day, I am repulsed by these schools that start school in early or mid-August. Those were the best days of the summer I remember. That young men and women are spending that tiem in class rather than out enjoying the summer is sad. On the other end, we were always out before my birthday, May 26th. (Please mark your calendars. Gifts accepted.) The semester break also fell over Christmas...two weeks off for the holiday. I don't buy for a second that June is as hot as August, by the way. I don't care that those average temperatures people cite reflect only a couple degrees difference. I have several decades of living in Indiana which say differently. Oh, and I don't buy the "local control" argument either. Hoosiers overwhelmingly favor a later school start. It is clear that school boards on so many issues do whatever they want, often flipping the bird to public opinion. School districts are merely governmental subunits of the state. I have no problem with the General Assembly standing up for what people want by mandating a starting (and ending) date for a traditional school calendar. I was in school in the 1970s. Since then the legislature has saw fit to add several days to the calendar. The story not being talked about during this debate is that those extra days screwed up the calendar. You can no longer start school after Labor Day and get a semester of 90 days in before the Christmas break. The 180 mandated days also inevitably pushes school into June unless you start by at least mid-August. I am one of the few conservatives who does not buy the notion that our students are somehow failing because they don't spend enough time in school. I am far more concerned about the quality than quantity when it comes to education. In the right environment, I think students can learn even more in a fraction of the time. Dare I suggest we rethink the calendar? Why not make the school day a little bit longer, and maybe allow a few training days or half days to count as full days? If you knocked 10 days off the calendar and made a few more adjustments that might be enough to have a Labor Day to Memorial Day calendar. 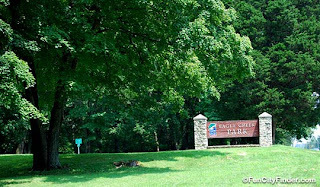 I have so many fond memories growing up in the hills of southeastern Indiana. So many of those memories involve summer activities, a time when I was not in school. We should not deprive children today of those memories. State Rep. Ed DeLaney of Indianapolis said Thursday that contributions of more than $800,000 by Indianapolis businessman Timothy Durham should be sent to a bankruptcy trustee for Ohio investment firm Fair Finance Co. The company was forced into bankruptcy earlier this year. DeLaney says the money should be sent to the trustee or put in escrow accounts that he wants the state's major parties to set up. He says it would help restore confidence in the political system. Downtown and Broad Ripple parking rates would double by 2012 under a city proposal to privatize Indianapolis’ parking operations. City leaders unveiled details of the plan for the first time at a meeting Tuesday evening, in which they said hourly rates could rise from 75 cents to as much as $1.50 in Broad Ripple and some busy downtown areas. A long-term lease deal and the additional revenue generated by higher fees would help the city repair streets, sidewalks and alleys in those areas. In addition, the extra money would cover the costs needed to install meters that accept credit cards. Parking meters already add more than $4 million per year to city coffers. Privatization could double or triple that amount—or generate a lump sum payment of at least $100 million through a long-term lease. Besides higher meter rates, metered hours would extend to 9 p.m. in busier downtown areas and to 8 p.m. in quieter parts. In Broad Ripple, hours would stretch to 11 p.m. Didn't candidate Greg Ballard count fee increases as tax increases during his campaign against Mayor Bart Peterson? Does he really believe that a Democratic opponent won't bring up the Mayor's continual support of tax and fee increases? Pray tell, how does he think he's going to defend a DOUBLING of parking rates should he run for re-election in 2011. If he thinks he can offer a lengthy explanation to the public justifying the increase in the middle of a political campaign, the Mayor is really clueless when it comes to understanding how the political game is played. Was an IMPD Officer Smashed During High Speed Chase? An Indianapolis police officer tested at more than twice the level at which a driver in Indiana is considered legally drunk when he crashed his squad car into two motorcycles Friday, according to a victim's relative. The accident killed one rider and critically injured two others. Indianapolis Metropolitan Police Department Chief Paul Ciesielski confirmed Tuesday that officer David Bisard tested positive for alcohol shortly after the crash that killed Eric Wells and injured Mary Mills and Kurt Weekly. Ciesielski and a spokeswoman with the Marion County prosecutor's office said additional details from the investigation will be released today. IMPD officials declined to confirm Bisard's blood-alcohol level, but Wells' father said the family received word from the prosecutor's office that Bisard's blood-alcohol level tested at 0.19. Under Indiana law, a driver is presumed drunk at 0.08. There are troubling things about this incident. Assuming the .19 test result is correct, which I'm not ready to concede at this point, that would be a serious drinker. People don't realize how much alcohol that has to be consumed to get to .19 (and supposedly he wasn't tested for two hours). Assuming four hours of drinking and a 190 pound man, it would take 13 beers to arrive at that level. (See Drink Wheel.) (This of course overlooks the fact that he also had two hours apparently of non-drinking before he was tested.) Most people though that test that high are consuming mixed drinks which, per drink, have more alcohol. And to be .19 that late in the morning...astonishing. One thing that is not clear from the article is whether Bisard was on duty or whether he was off-duty answering a call for assistance. Still if he was off-duty and had been drinking - drinking a lot apparently - then one would think he would not have answered the call for assistance. Whatever facts come out, we can't forget that there are innocent victims who paid an awful price for what happened. 90 Degree Plus Heat Wave Proves Global Warming ... Not! Today in the Indianapolis Star, a letter to the editor noted the hot temperatures this summer and said this proves global warming. Nonsense. Our planet is 4.5 billion years old. We have only kept temperature records since approximately 1871, nearly 140 years. If you study climatology you will find that long-term heating and cooling periods last thousands if not tens of thousands of years. During those long term trends you have shorter zig-zag periods lasting hundreds of years when temperature warm up and then get cool. A 140 year period is far too small of a sample to try to gauge a long-term warming trend. (Looking at a single year is downright ridiculous.) The only way to properly measure long-term temperature change is to look at climate records over hundeds of thousands of years. The thawing of glaciers do not prove a long-term trend as the glaciers have melted during several year long short-term warming periods long before man set foot on Earth. You'd think that if the 141 year period showed extensive global warming the 10 warmest years would be of recent vintage. Yet only one is within the last 14 years. Of course, human activity causes warming. It's the same reason that a paved parking lot produces higher surface temperatures than it did when the parking lot was a grass field. The question though is how much warming is caused by human activity and it is worth the trillions of dollars that it would cost to try to stop that warming, if that is even possible. Another question, almost always ignored, is whether a warmer planet is a bad thing. Virtually every discussion of global warming begins with the unquestioned assumption that today's temperatures are the ideal and that any climate change will wreak havoc on the planet. Of course the climate has been changing for 4.5 billion years of the planet and is unlikely to stop any time soon. Yes, it's hot outside today and may be even hotter tomorrow. But as far as proof of global warming, our August heat wave proves nothing. Gill was found passed out in a ditch in the 3600 block of Lafayette Road at about 4 a.m. Sunday, according to a police report. An officer had been sent to check on a man said to be on the ground in front of a car. Gill reportedly had trouble standing, smelled of alcohol and spoke with a slur, the report said. It took the Prosecutor's Office until Sunday afternoon to drop the charges against Gill. How many other defendants get their charges dropped over the weekend, on a Sunday no less? The Marion County Prosecutor's Office is notorious among defense attorneys for refusing to dismiss charges long after prosecutors know the charges have no merit. I have written about my mentally disabled client Brizzi's office left in jail for four months for robbery even though we had video of him across town when the crime was committed. I suspect that the video store office manager had accused the mentally disabled man of robbery (which supposedly took place behind a dumpster where there was conveniently no cameras) to cover the fact that she took off with the store's money. The man had regularly visited the store and she certainly knew he was. Although she unquestionably perjured herself during the hearing, the Prosecutor's Office not only didn't prosecute her, the deputy prosecutor acted as her advocate to try to protect from further committing perjury. The news media needs to look more into why the charges were so suddenly dropped against Gill when the evidence would appear to be overwhelming that he was guilty of public intoxication. I'm not a big fan of the P.I. charge, but if Colts players are getting special consideration (like dismissal of their charges on Sunday) then that would be further grounds for concern about favoritism in Brizzi's office. The news you probably won't see in the Star for at least another week is that a major feud has broken out between Public Safety Director Frank (Please call me "Doctor") Straub and the Indianapolis Metropolitan Police Department. Gary Welsh of Advance Indiana first reported on the feud part of which was picked up by Sandra Chapman of WTHR. Also, yesterday the IMPD voted down a new four year contract by a 6-1 margin. You probably won't see news of the fued in the Star for another week. The news and facts the Star's editors choose to report continue to be shaped the editorial slant of the paper. The Star steadfastly refused to report all the facts on the Wishard deal, including that taxpayers are indeed on the hook should Health & Hospital decide they don't want to pay for the hospital out of their operating funds. The Star insisted on accepting as true the $20 million penalty claim suggested by the CIB & Pacers for the Pacers breaking the existing contract, when they could produce no proof the penalty was only $20 million. When it came to the utility deal, the Star refused to acknowledge the critics' point that the city's debt wasn't erased, it would still have to be paid for by the public which owns Citizen's. Plus, the Star simply ignored the fact that Citizen's would be taking out a 30 year loan to pay the purchase price for the utilities, which borrowed money was going to be funnelled into infrastructure improvements lasting maybe 10 years. But I digress. In this blog I like to talk about politics, and today's topic is the politics of ticking off the police. While a sitting Mayor can win election with the police supporting the other candidate, it's quite another thing when a Mayor so ticks off the police that law enforcement officers, as well as their friends and family, start voting as a bloc against the Mayor. Almost any Mayor facing this situation is in political trouble. 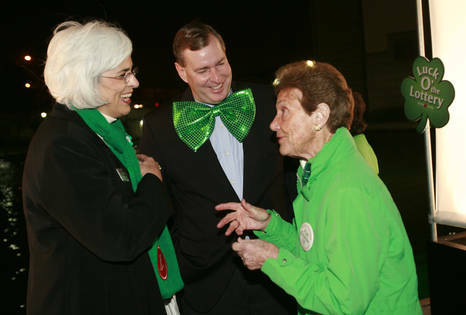 I have yet to see any evidence that Mayor Ballard has anyone around him who understands politics. If Ballard doesn't think he's courting political trouble by supporting Straub in a bitter fued against IMPD, then he's even more politically clueless than he's demonstrated for 2 1/2 years. That would be as politically foolish as a Republican mayor taking on gun activists who loyally vote Republican. Wait... Ballard has also done that too.